National Wildlife Federation’s (NWF) new Certified Wildlife Habitat program allows landscaping professionals to become a Certified Wildlife Landscaping Professional. The professional must demonstrate a commitment to supporting ecologically sound and wildlife-friendly methods of landscaping in the business. NWF’s new Certified Wildlife Landscaping Professional program certifies landscaping professionals as a complement to its long-standing Certified Wildlife Habitat, Schoolyard Habitats and Community Wildlife Habitat programs. 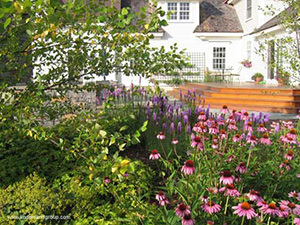 These sustainable landscapes and gardens help keep water and air resources clean, are healthier for people and the environment and are less resource-dependent than conventional landscapes, NWF said.